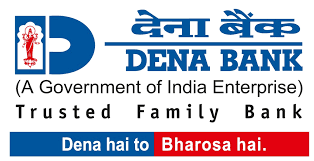 Dear Readers, we are providing Frequently ask questions related with Dena Bank Recruitment- Probationary Officer in Junior Management Grade Scale-I. 1. What is selection procedure for this recruitment? Ans- Candidates shall be selected through a selection process consisting of online exam (objective + descriptive) followed by Group Discussions and Personal Interviews. Selected candidates will attend one year intensive training programme under Post Graduate Diploma in Banking & Finance at Amity University. Candidates are required to obtain a minimum score in each test and also a minimum total score in the online test to be shortlisted for Group Discussion & interview. Candidates will be shortlisted for Group Discussion & Interview depending on the number of vacancies, cut-off in each test and total marks secured in the online test as decided by the Bank There will be descriptive paper for test of writing skill in English which has to be completed in online mode only. The descriptive paper of only such candidates will be assessed who secure a minimum qualifying mark in the objective test. Wrong answers in objective test will attract negative marks (1/4th of marks assigned to that question) for the online test. Along with the call letters, information hand-out and a sample test shall also be uploaded on the site which candidates can take to familiarize themselves with the nature of Test & Questions. 2. What is education qualification for this recruitment? Ans- Qualification (As on 01/04/2017) — Degree (Graduation) with minimum 60% (55% for SC/ST/PWD) marks in any discipline from a recognized University OR any equivalent qualification as such recognized by Central Government. 3. What is age criteria for this recruitment? Ans-Age (As on 01/04/2017) Minimum 20 years- Maximum 29 years i.e. A candidate must have been born not earlier than 01/04/1988 and not later than 01/04/1998 (both dates inclusive). 4. What is starting and ending date for applying this recruitment? 5. How many vacancies are there ? 6. Is there any interview for this recruitment? The aggregate marks of candidates qualifying in the Online Test will be arranged in descending order in each category and the candidates in the order of merit, subject to 4 times the number of intake in each category, will be called for Group Discussion and Interview. The qualifying marks in Group Discussion & Interview will be as decided by the Bank. The final merit list for selection will be on the basis of performance in Online Test (objective + descriptive), Group Discussion (GD) and Interview. 7. Is there any bond for this recruitment? The Officers recruited will have to execute a non-transferrable bond of Rs. 2.00 Lakhs (Rs. Two Lakhs only) for a period of 4 years which will be effective from the date of joining the course. The candidates will have to work for Dena Bank on recruitment as Probationary Officer for a period of atleast 3 years on completion of the programme. The candidate leaving the job during the period of service bond will be liable to pay the service bond amount. 8. Is there any stipend during training? Ans- The learner / candidate will be paid a stipend amount of Rs. 2,500/- (Rs. Two Thousand Five Hundred only) every month for the entire duration of the programme in order to meet their out of pocket expenses and their living expenses. Further, during the internship of three months, additional stipend of Rs. 7,500/- will be paid. 9. What is fees for this programme? Ans- The fees for this Course will be Rs. 3.00 lakhs (all inclusive of boarding, Lodging and course fees, other fees, etc.) plus service taxes, as applicable to be paid by the student. 10. Is there any loan facility for Fees? Ans- Students can pay the course fees by availing Education Loan from Dena Bank at a highly concessional rate of interest as per Education Loan Scheme of the Dena Bank. Students can, therefore obtain a high quality specialized course in Banking and Finance without any monetary burden on them and fully financed by the Bank. The EMIs for the loan would start on completion of the course duration (i.e. one year from admission). There would be no recovery of EMIs or interest during the training period and the interest accrued during this period would be recovered along with the normal EMIs. The EMIs are spread over a period of 84 months (7 years) to ensure that there is minimal impact in the monthly earnings of the PO. The fees will be payable in three equal instalments at the start of every trimester. REIMBURSEMENT The reimbursement of the fees will be made to the candidates after 5 years’ satisfactory service in the Bank. If you like this post, give your comments in comment section.